Baked goods made from or with boxed products are normally not part of GrubAmerican’s recipe collection. This cake being an exception, simply because it’s delicious. 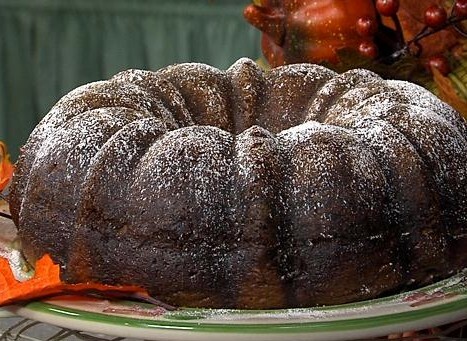 Preheat oven to 350 degrees F. Spray a bundt pan with a non-vegetable baking spray with flour. In a large mixing bowl, mix all ingredients together and pour into prepared bundt pan. Bake for approximately one hour or until a toothpick inserted comes out clean. Remove from pan after a few minutes and let cake cool. While cake is baking, make the glaze by adding all ingredients in a medium bowl. Mix well and set aside. When cake has cooled, pour glaze over the top. Cut and serve.